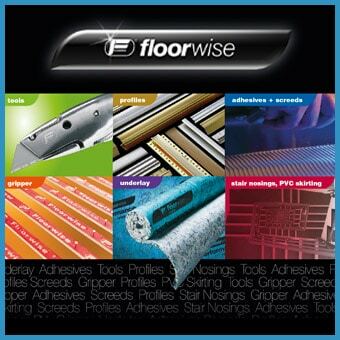 Floorwise has upgraded some of its most popular PU underlays with new and improved higher densities. The ever-popular Prima (8mm) and Lusso (10mm) have been improved with 18% more foam, upgraded from Medium Density to High Density. High-performance Lift (7mm) and Tread (9mm) are now even more durable thanks to another 18% uplift, going from Super High Density to Ultra High Density. The result is an improved family of products that recover from footfall quicker, and therefore provide a long-lasting underlay solution that will stand the test of time. Demonstrating a commitment to continual product improvement across all lines, these revised specifications show that Floorwise is determined to make sure that its underlays continue to deliver customers the very best in performance and value. “With these density upgrades on some of our most popular PU underlays, generally without a price hike, we are making sure that the floorwise name continues to stand for the very best in performance and value. The improved density formula has already been introduced to the brand’s Traffic and Maxi high-performance underlays. A 25% increase in density has uprated these styles from High Density to Extra High Density and with it delivered even better value for homeowners that is now gaining the underlays extra traction in the marketplace. that delivers homeowners a durable and comfortable solution for the most-used areas of the home.